Evolve, Other Virtual Synth from Native Instruments. 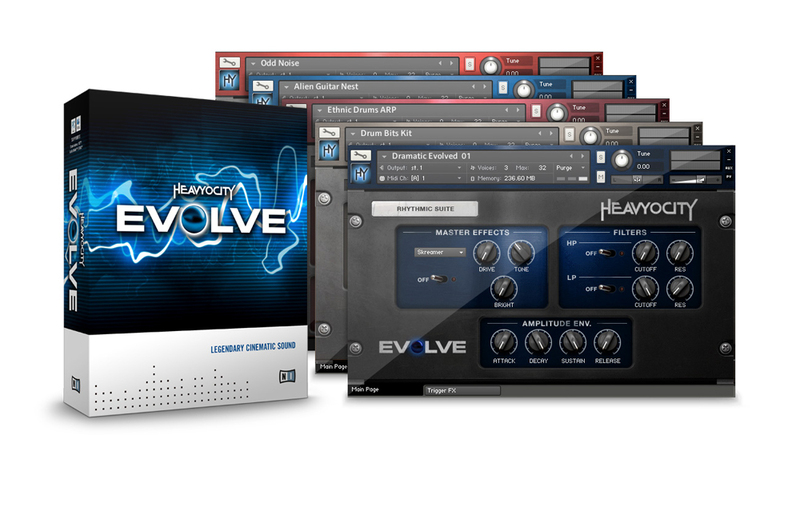 Native Instruments released Evolve, a Kontakt-based instrument created by Heavyocity. Evolve offers a resource for cinematic sound design that brings together a selection of sounds, rhythms and FX, designed for film composers and sound designers. With approximately 6 GB of sample content, Evolve provides a resource for cinematic sounds, textures and ambiences. A variety of styles are included in the instrument, ranging from "punchy beats for dramatic tension, atonal stings for added suspense, or serene melodic lines for intricate tonal sequences." 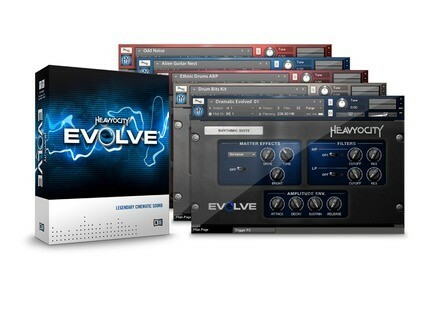 Evolve was previously only available from Heavyocity. Furthermore, Evolve has also been optimized for Maschine, allowing users to browse for sounds and categories directly from the hardware. Evolve is now available for a suggested price of $229 / 199 EUR at the NI Online Shop. An upgrade for owners of Evolve Mutations 1 or 2, or the bundle, is available for $119 / 99 EUR at the NI Online Shop. Additional information on Evolve is available at www.native-instruments.com/evolve. IMEA Studio has released Groove Drums. Groove Drums is a percussion sampler combined with a pattern based drum-machine engine, for Mac OS X and Windows. morph AU & OrangeVocoder 10 AE Updates Prosoniq has announced the immediate availability of morph AU v1.35 andOrangeVocoder 10AE v3.38. Waves Launches InPhase Waves launches its new InPhase plugin introduced at NAMM.